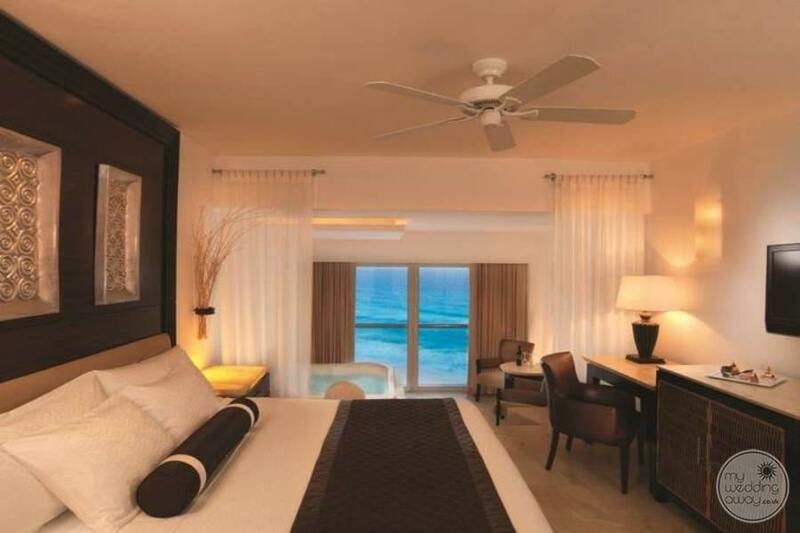 Ideal for: Adults seeking the holiday of a lifetime in a boutique resort offering a ‘beyond 5-star experience’ and a setting that screams ‘location, location, location!’’Chic, refined, sleek and contemporary’ are just a few of the adjectives that we would use to describe the simply stunning Le Blanc. 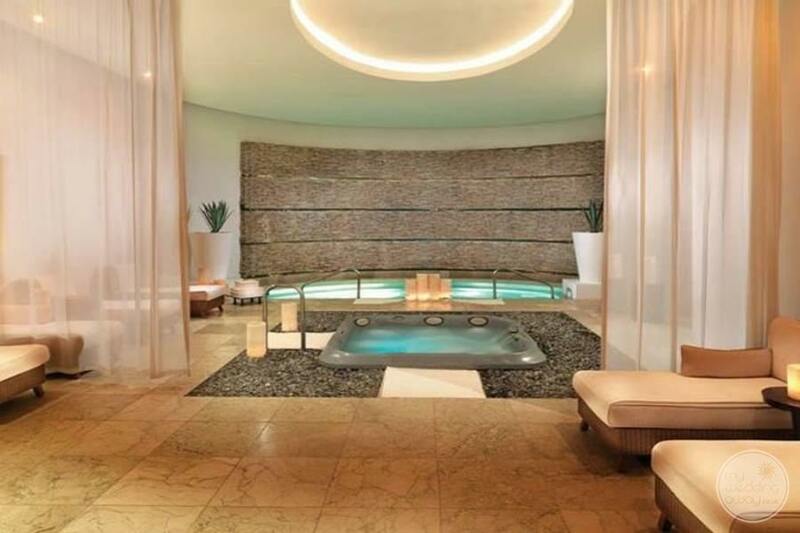 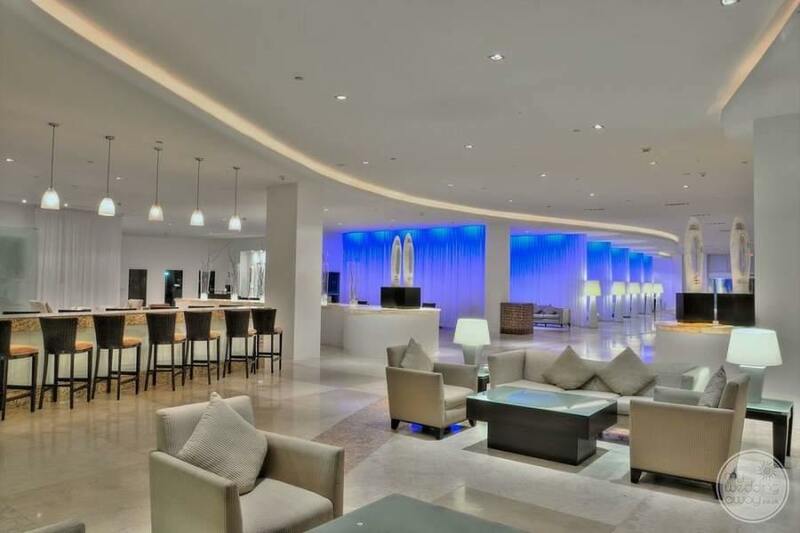 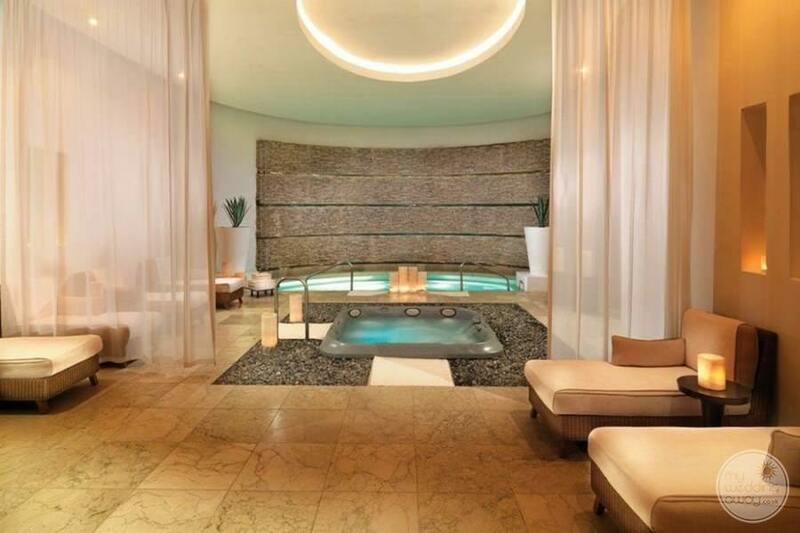 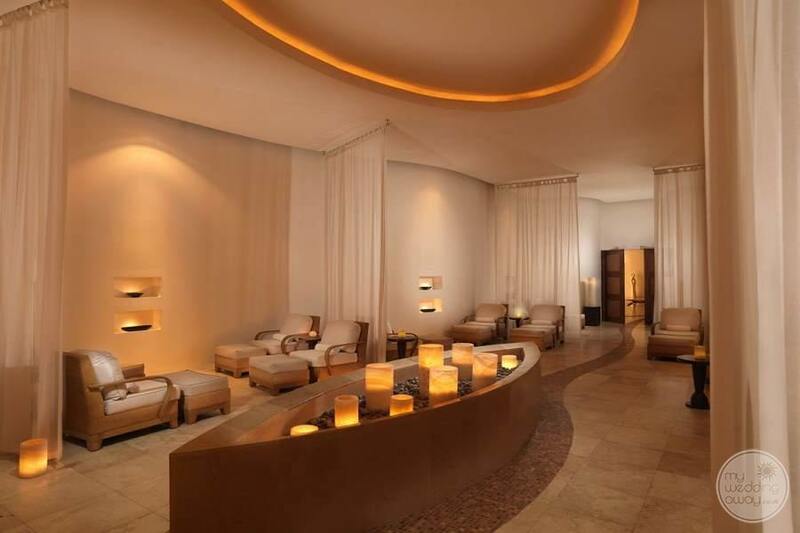 From the moment you step into the cool, all-white lobby, you will assume a treatment akin to royalty. 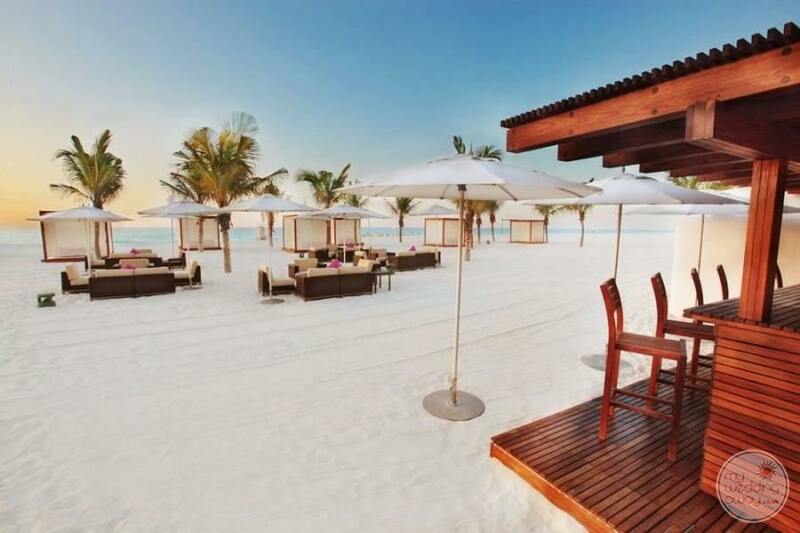 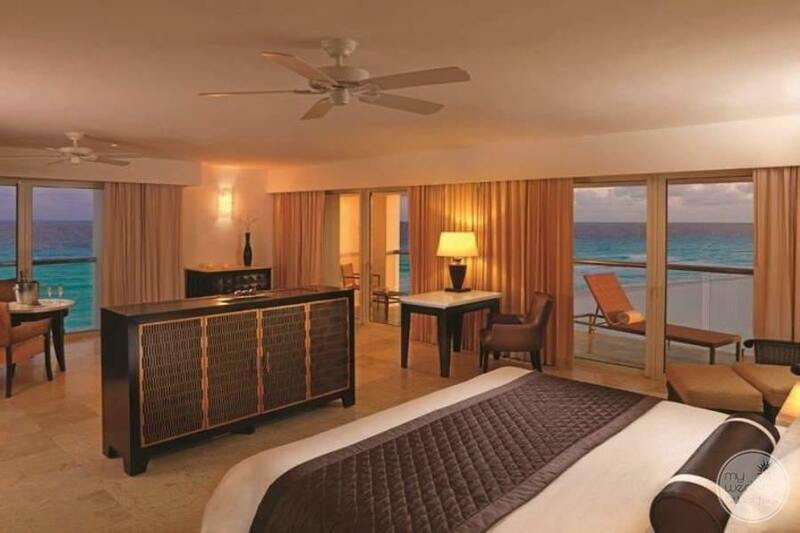 Refreshed with a cool towel and coconut martini, you will become acquainted with your very own Butler. 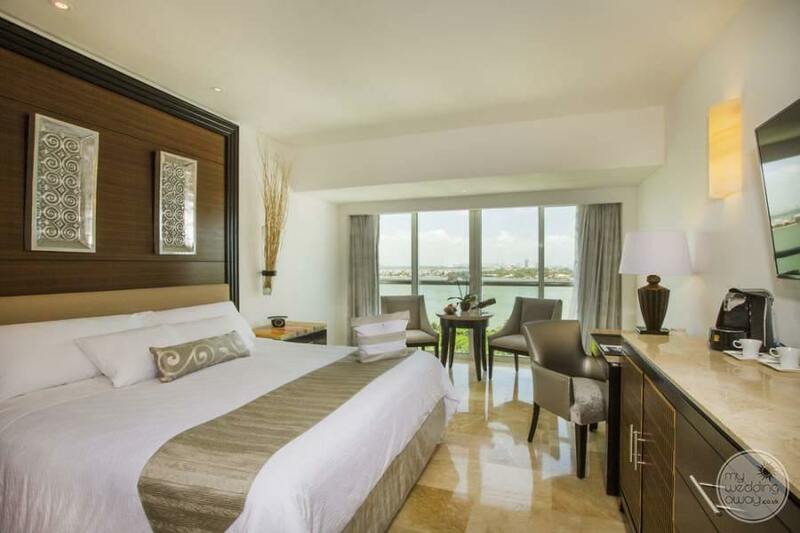 He or she will ensure that your suite, and indeed the rest of your stay, is exactly as you wish. 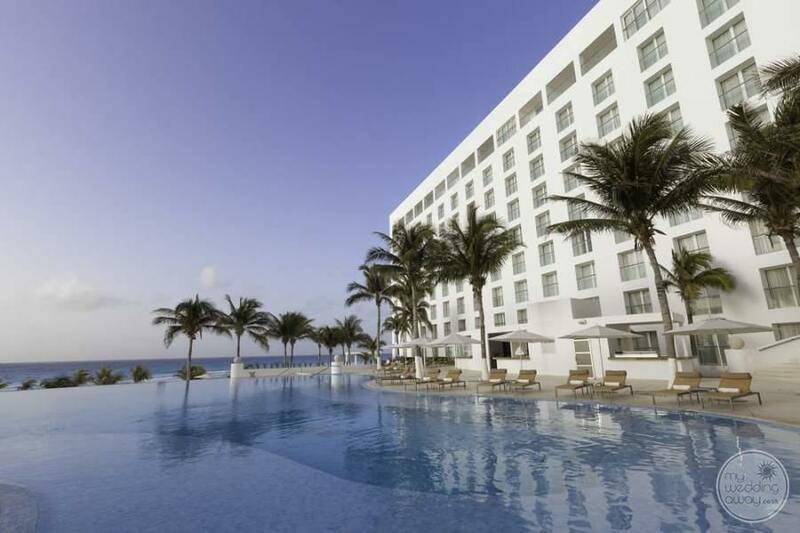 While this is a resort that exudes tranquillity, there are facilities aplenty. 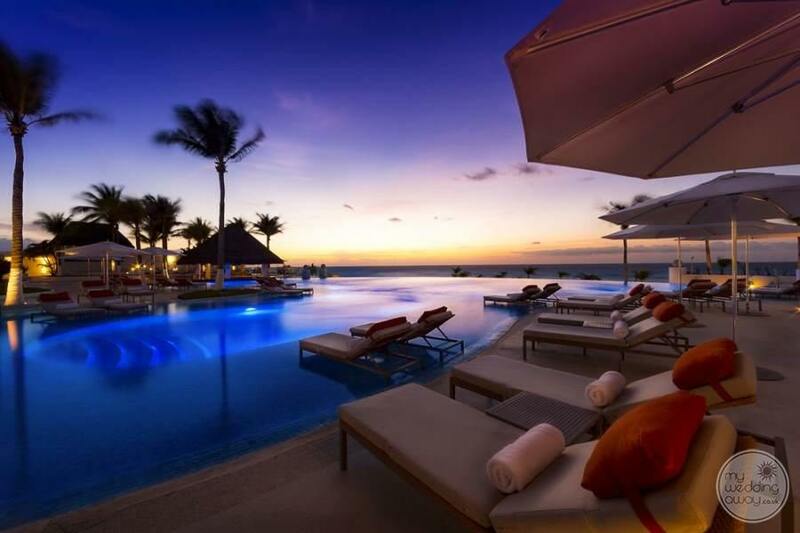 You may want to treat yourself to an afternoon in the beautifully appointed spa, relax by one of the infinity pools or take a stroll along one of the best beaches in Mexico. 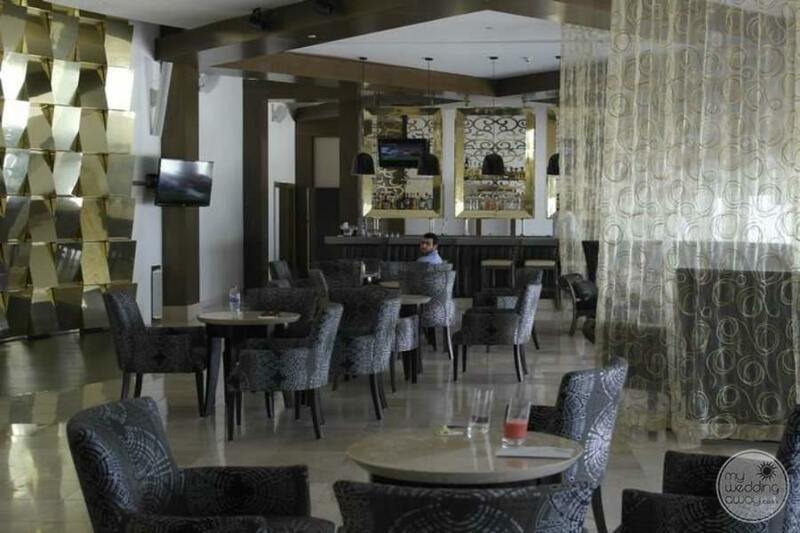 Additionally, in the evening, you can enjoy varied entertainment around the resort. 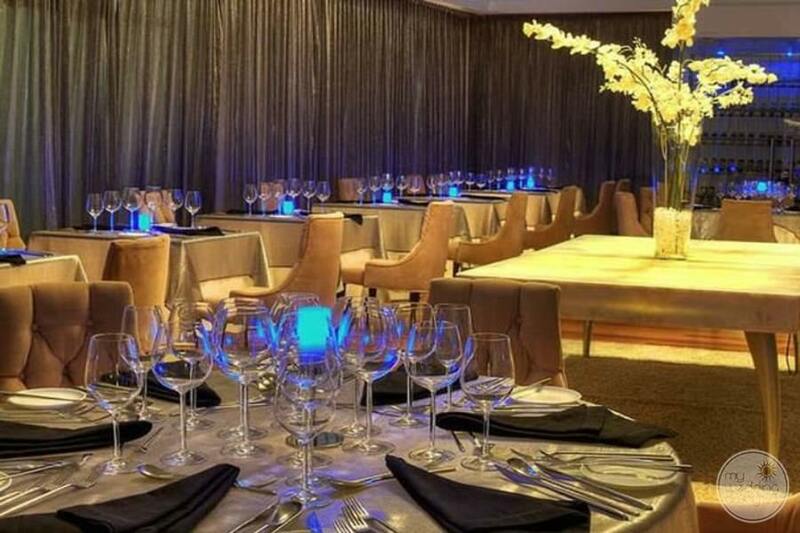 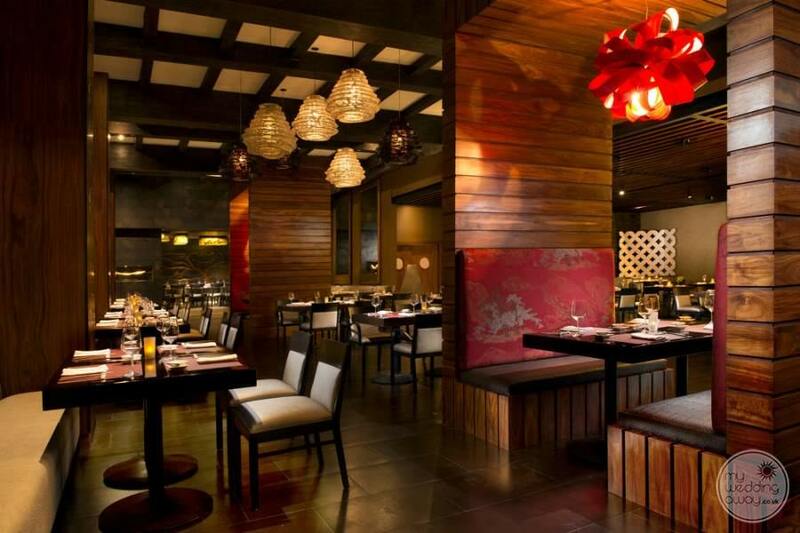 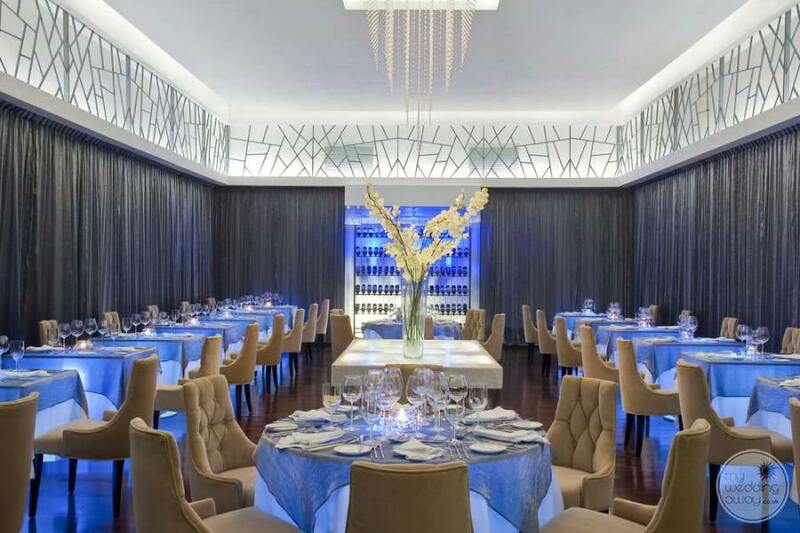 Spend quality time with friends over wine paired with gourmet cuisine in one of the fine dining restaurants. 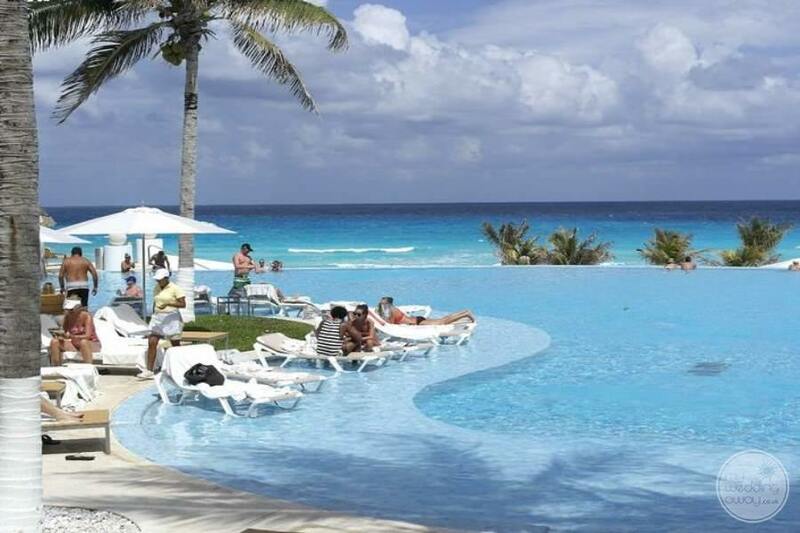 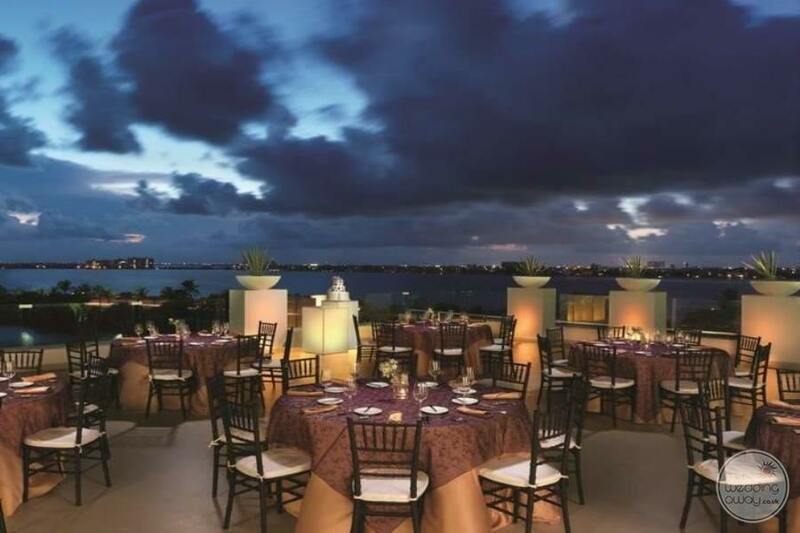 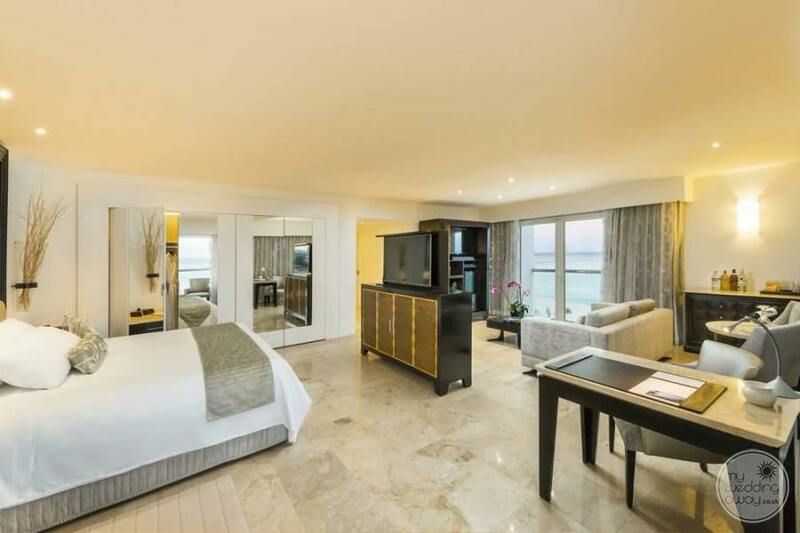 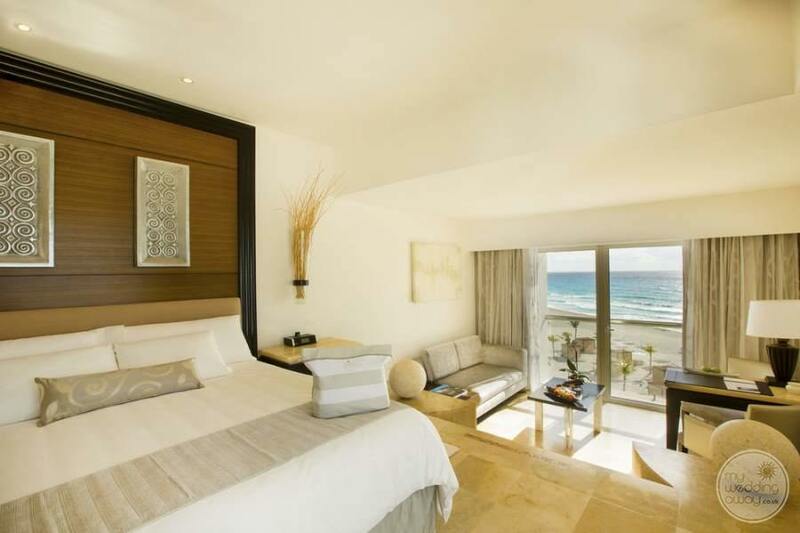 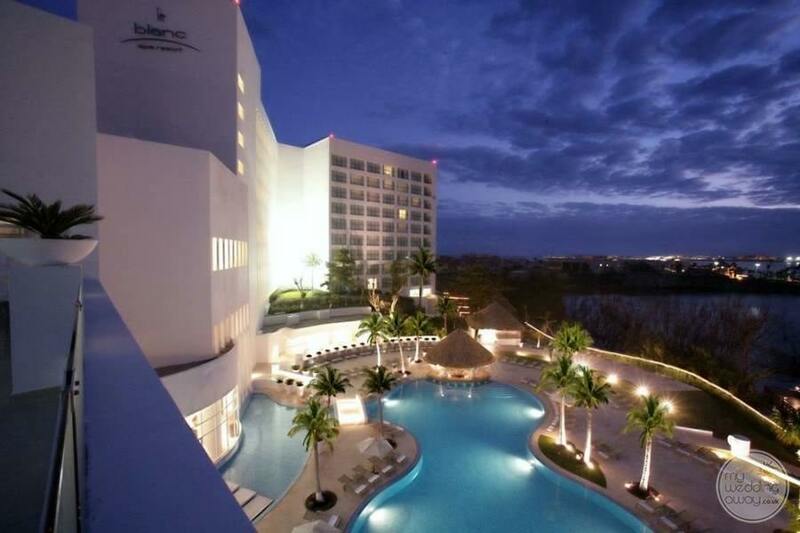 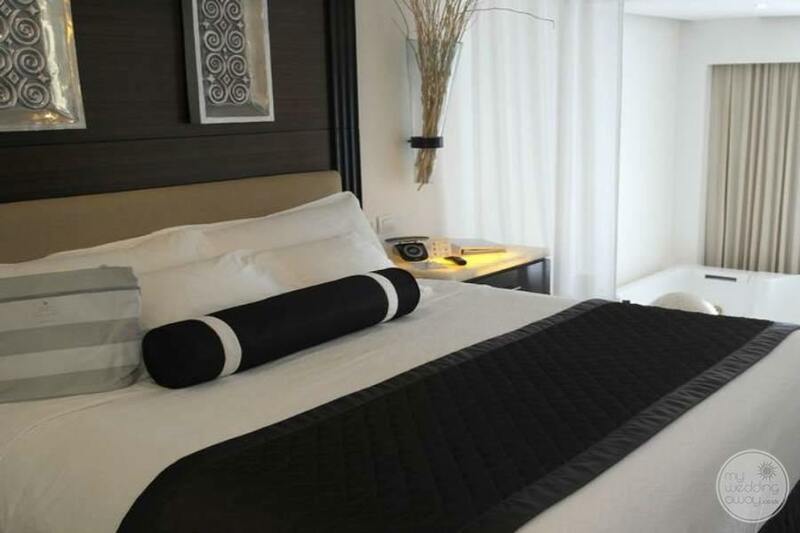 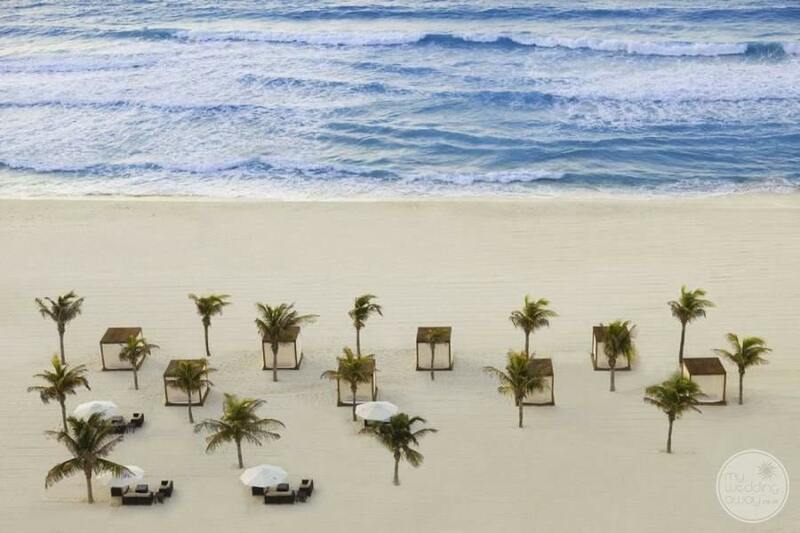 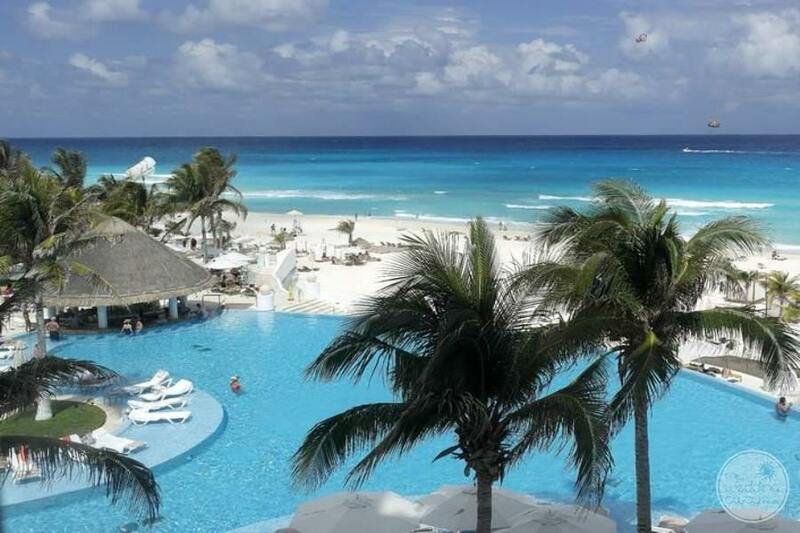 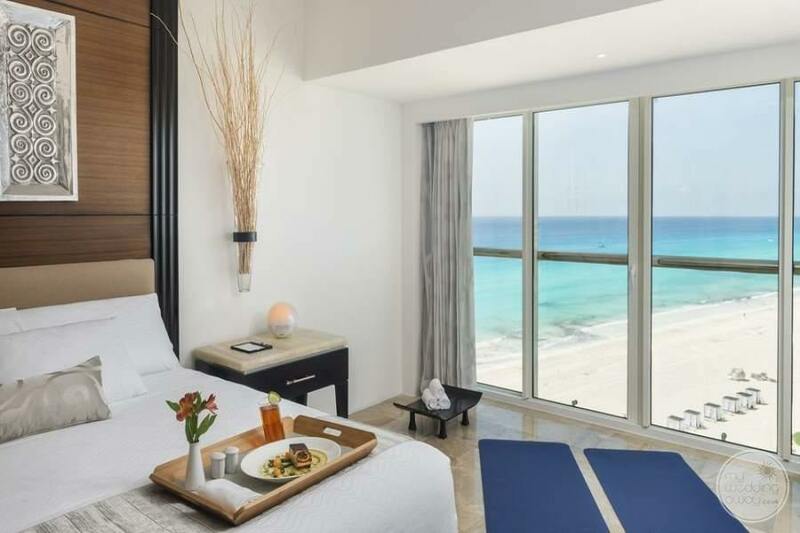 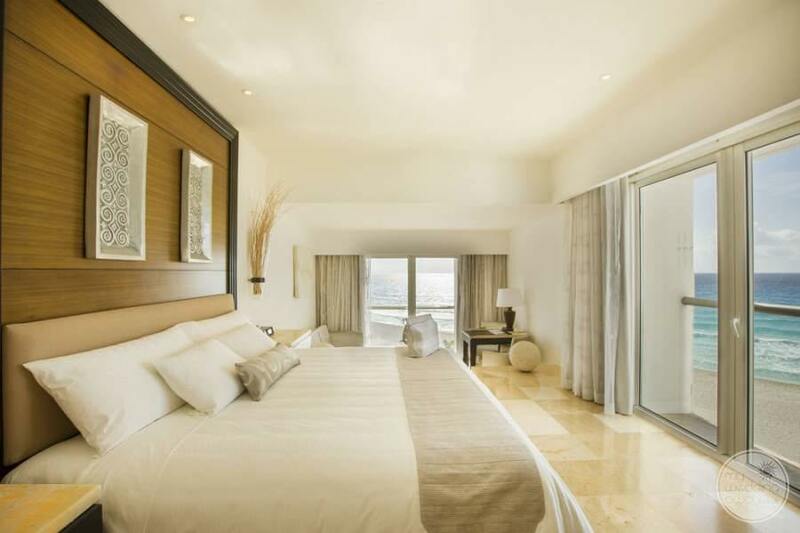 Should the mood take you, Le Blanc Spa Resort Cancun is well placed to enable an easy trip to ‘Downtown Cancun’ where the glitz and glam of this sought after resort will provide a fun-filled evening for all. 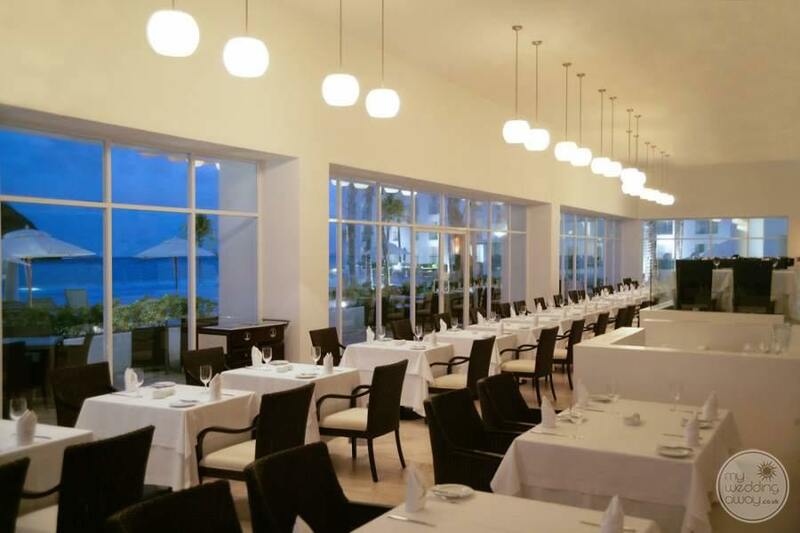 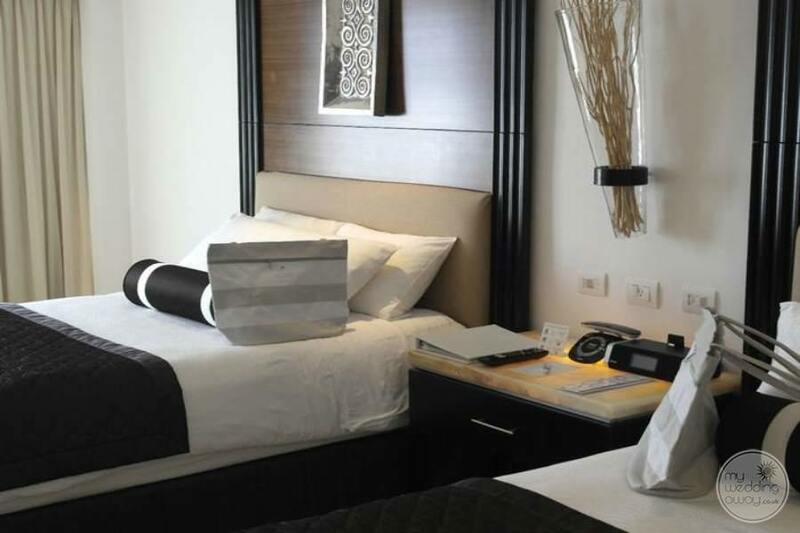 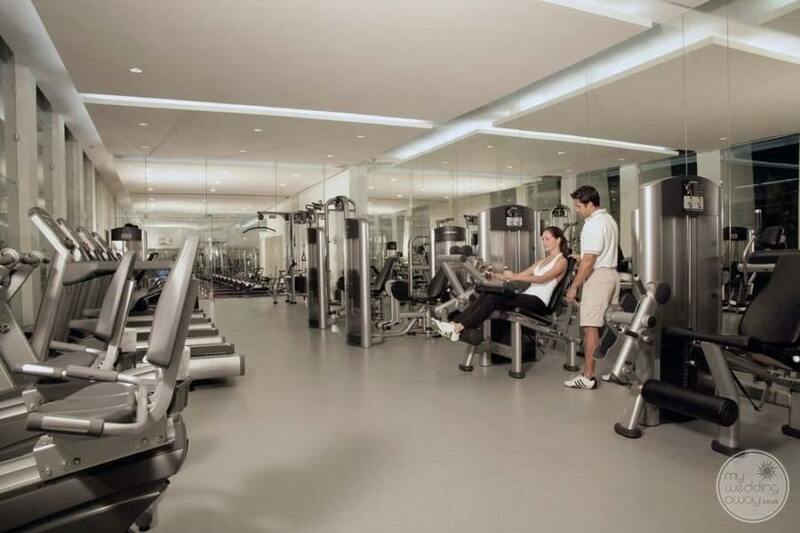 If this isn’t enough, Le Blanc offers all guests the opportunity to use the facilities of all other Palace Resorts. 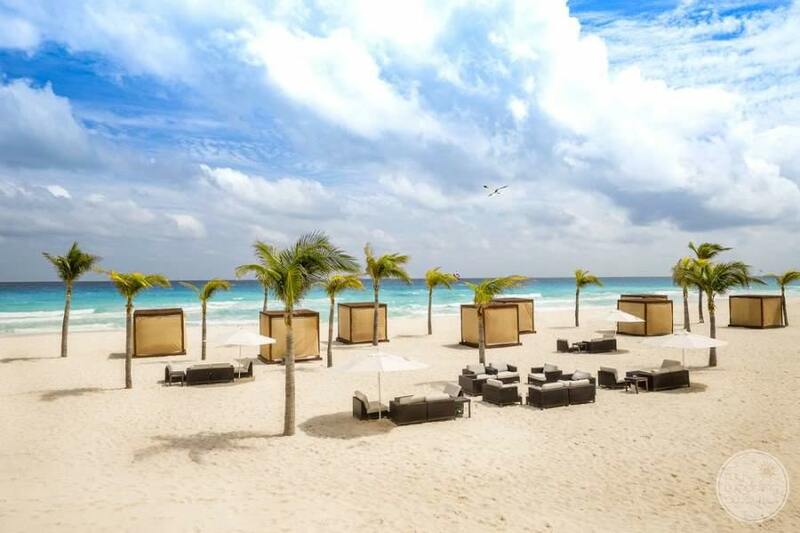 Also, we highly recommend a boat trip to the lesser inhabited island of ‘Isla Mujeres’ where you may dine at the wonderful Isla Mujeres Palace. 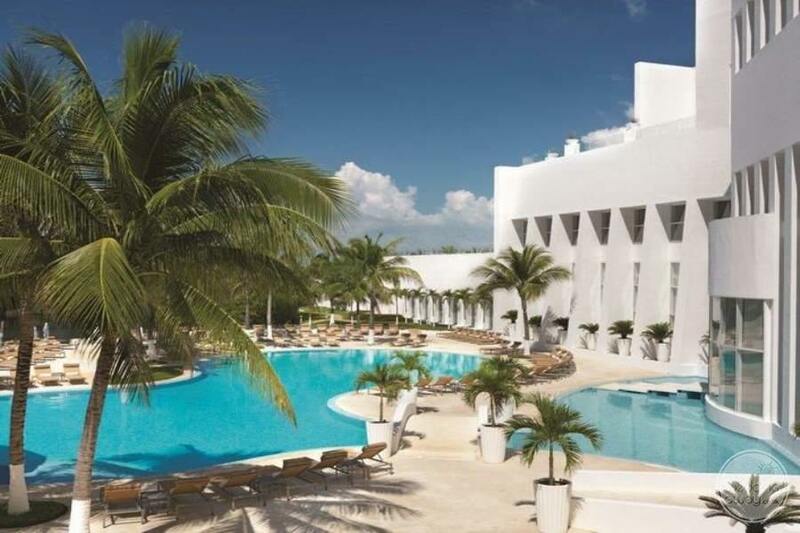 The watersports enthusiasts amongst your group will certainly know of the acclaimed snorkel sites off the coast of Cozumel, where the Cozumel Palace welcomes you to use its facilities. 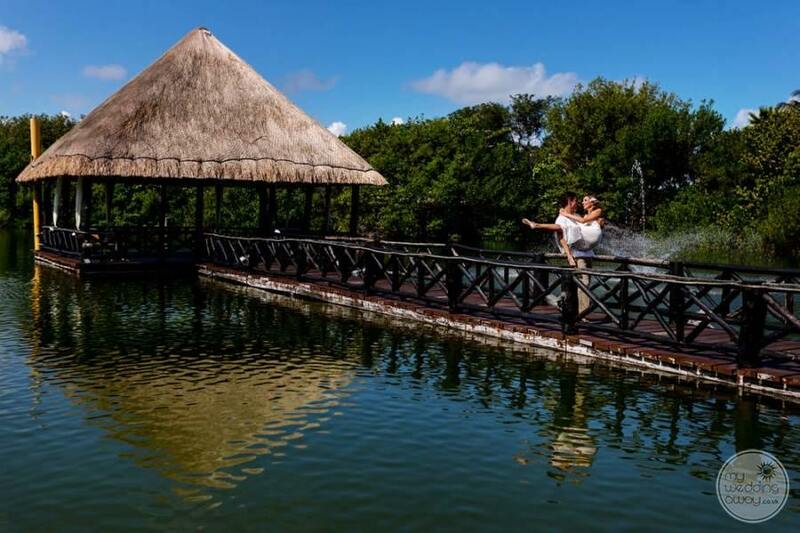 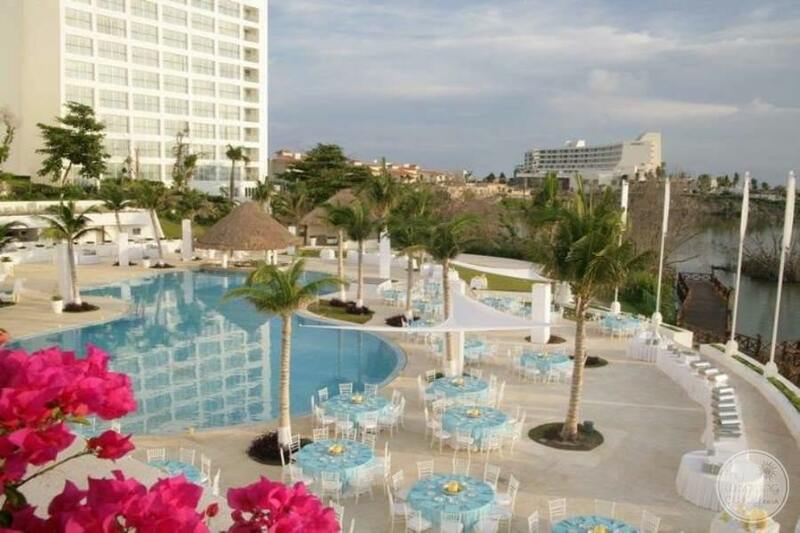 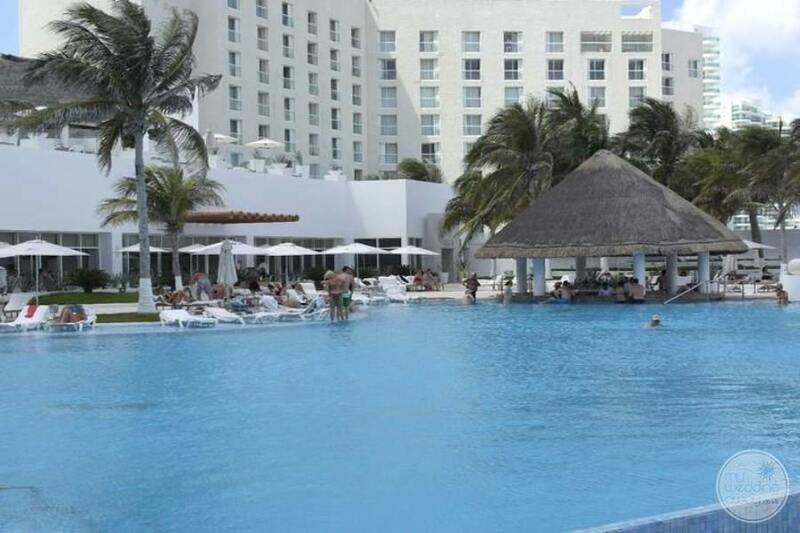 You and your guests can golf at the Moon Palace, Shopping on 5th Avenue or even grab cocktails at the Playacar Palace! 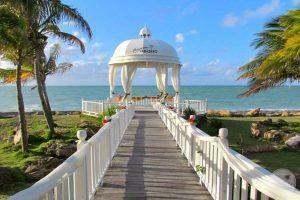 Furthermore, weddings at Le Blanc will be elegant and refined. 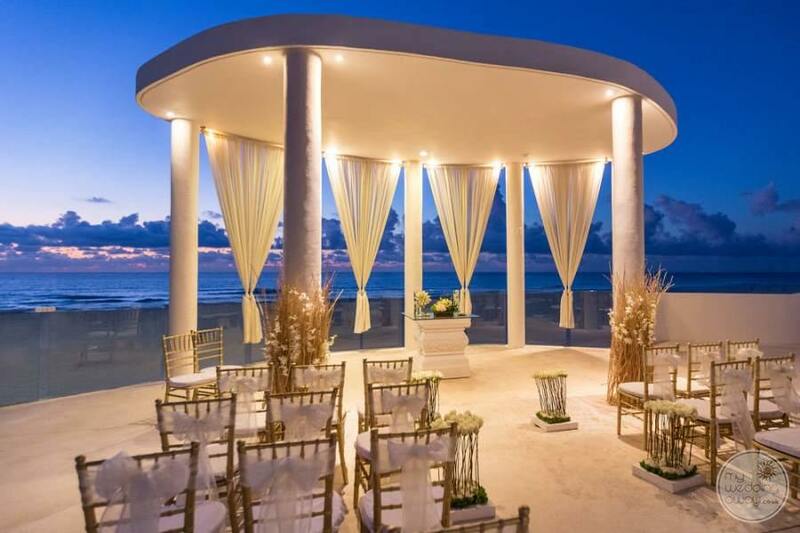 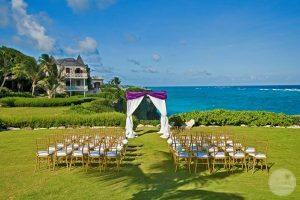 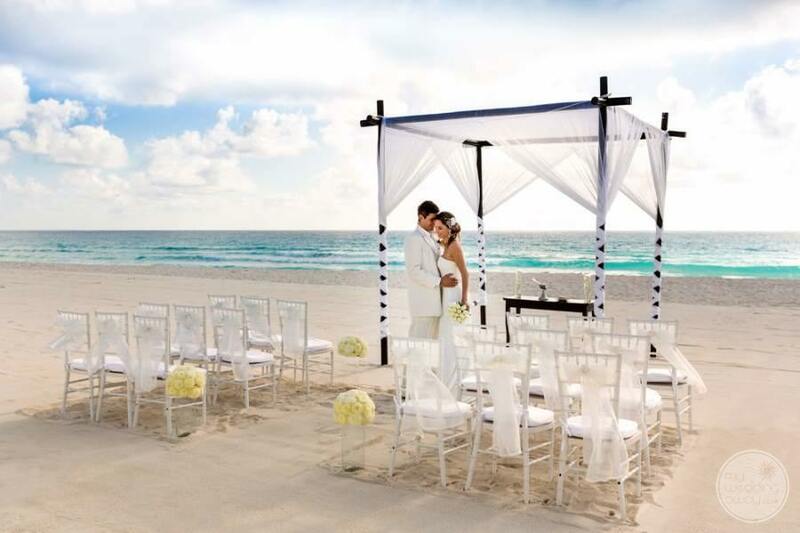 You will be cared for throughout by Le Blanc’s team of expert wedding coordinators. 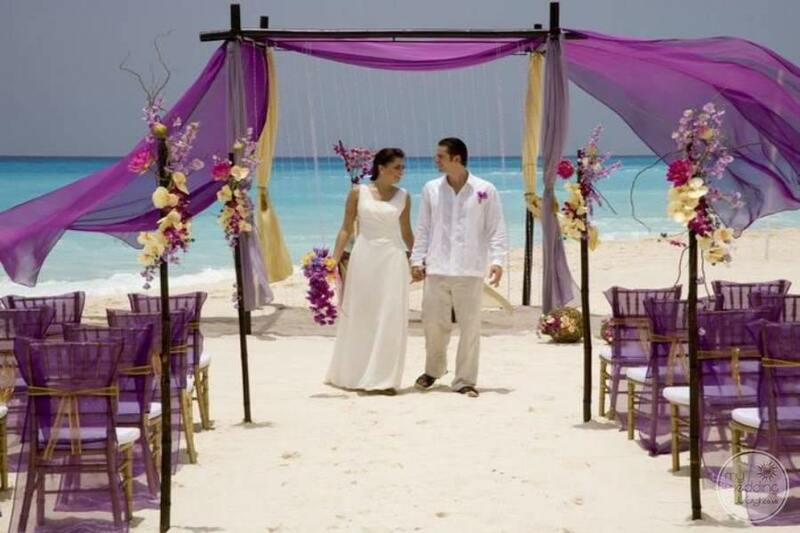 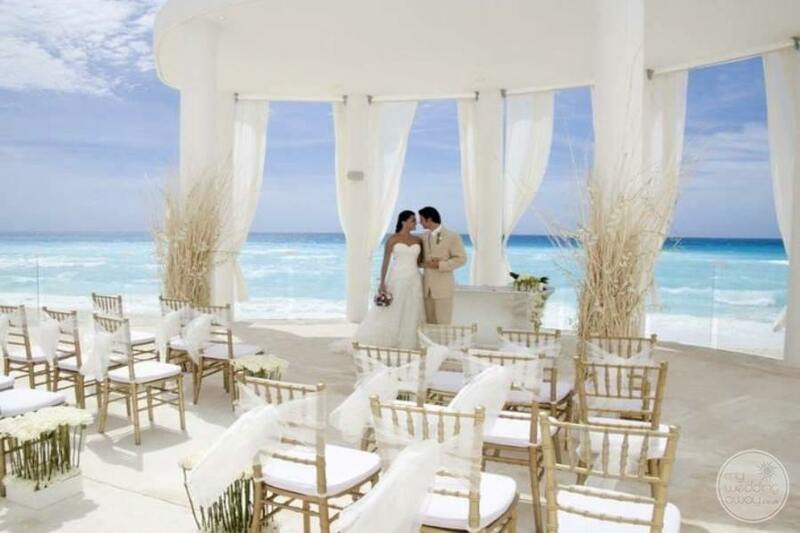 They will ensure that your day runs smoothly and leaves you with incredible memories to last you a lifetime. 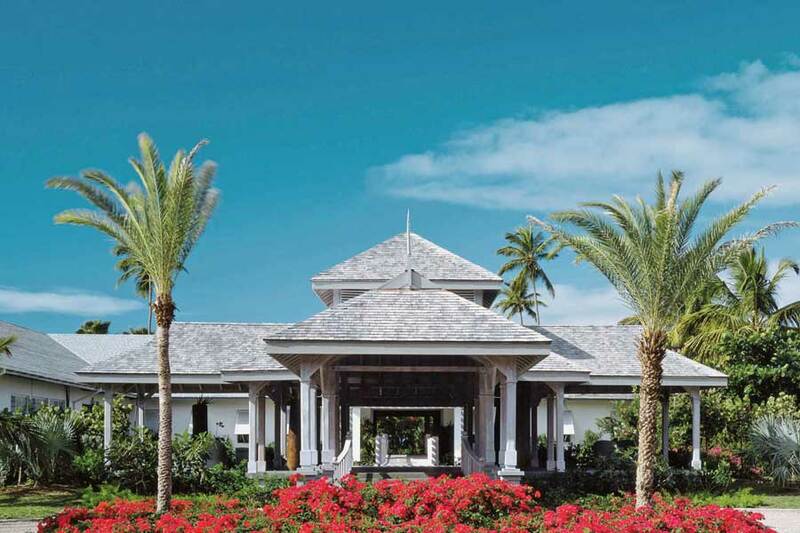 We are so proud of our excellent relationship with Palace Resorts. 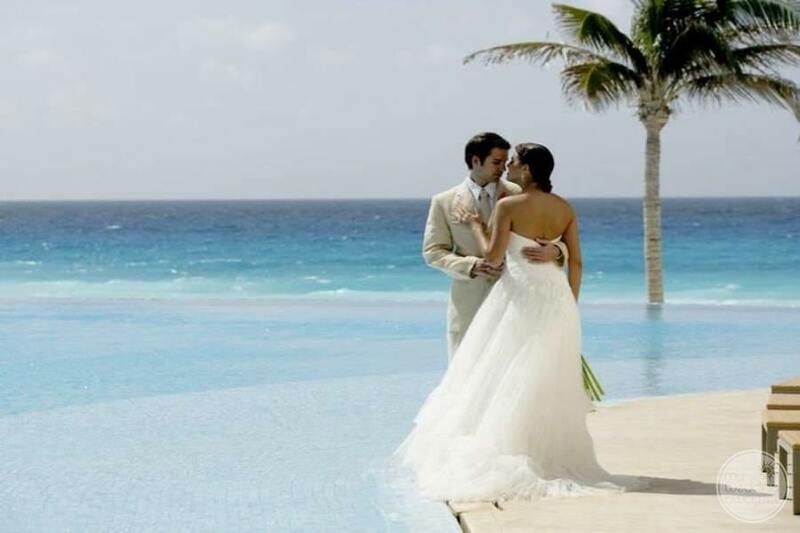 It enables us to handsomely reward our groups with complimentary nights, upgrades and wedding functions, often not available to travellers from the UK.